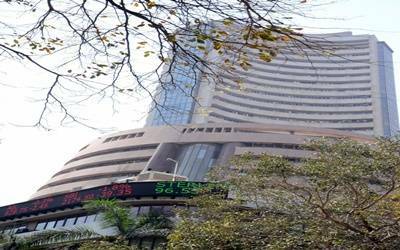 Mumbai, Feb 6 (IANS) Amid mixed global markets and healthy quaterly results of index heavyweights, key equity indices by over 1 per cent, during the late afternoon session of the trade on Wednesday. In addition, the equity indices also gained as both the foreign institutional investors (FIIs) and domestic institutional investors (DIIs) were net buyers on Tuesday. While the Nifty advanced further after it breached the 11,000 point mark in the early trade the BSE Sensex gained over 360 points. At 2.56 p.m., the Senex jumped 363.56 points or 0.99 per cent to 36,980.37 from its previous close of 36,616.81 while the Nifty traded 121 points, up at 11,055.35. Tata Steel spurted by 4.08 per cent while Bajaj Finance gained 3.54 per cent. ONGC, ICICI Bank, Tata Motors(DVR) were the other top gainers. In contrast, Axis Bank, IndusInd Bank, Yes Bank were the only laggards on the S&P BSE Sensex.